Your garage is an important part of your home, and your home is usually your biggest investment. You might notice that your garage has cracks in the floor, there are cracks in your garage column (the column between your garage doors if you have more than one), wall cracks, slab cracks, or that your garage floor seems lower than your driveway. This is a sign that your garage is sinking or settling and you may need garage foundation repair. Reliable Waterproofing and Masonry offers multiple solutions for this problem. We can use helical piers to lift your garage column if you have garage column cracks. For the bigger issues, we offer hydraulic lift slab piers. These are a non-intrusive way to lift the slab back to its normal place. There is even a mechanical version of this slab pier. This process isn’t difficult for you as a homeowner, we can use handheld tools to install these piers. 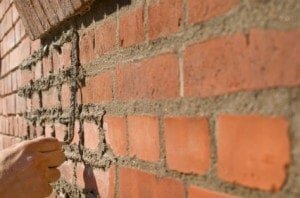 If any of the brick in your home is damaged due to settling we also offer a wide variety of masonry services including re-pointing, concrete restoration, cinder blocks, and bricklaying. From lifting the garage back into place to making sure it looked the way it did when you home was new, with our complete line of foundation repair and a masonry services we can have your garage back into great shape quickly. Remember that your home is your biggest investment, and your garage is an important part of your home. Protect that investment and give the professionals a call today at Reliable Waterproofing and Masonry.